Russian law allows for the sale of medicines of dubious efficacy and safety, but on the other hand, "dubious" does not mean "100 percent ineffective." 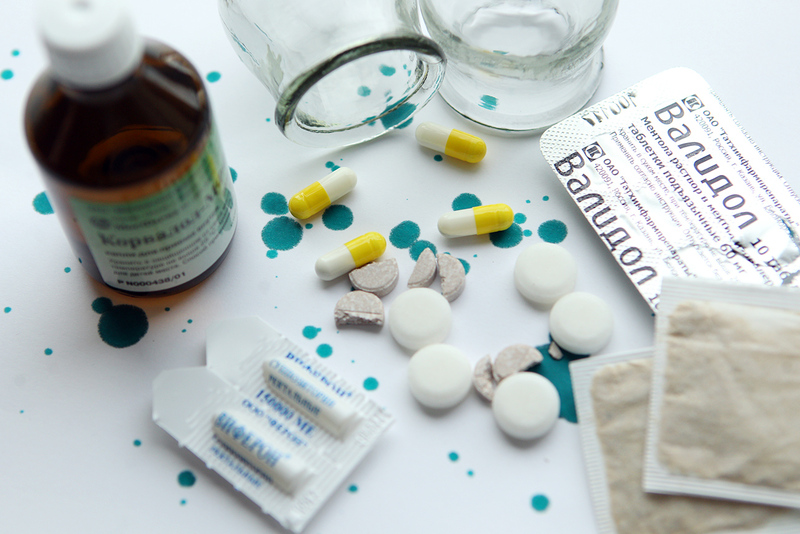 Many basic medicines are inexpensive and accessible in Russia, and include a number of cures unknown to the West, but which many Russians swear by. Some experts, however, doubt the effectiveness of these remedies because they lack sufficient clinical trials. Brilliant Green was first produced in Germany in 1879, and its antiseptic qualities were discovered a little later. This green liquid, currently on sale in Russia for the equivalent of about $0.40, requires no special storage conditions. In the mid 20th century, it became widespread throughout the USSR in an alcohol solution and acquired the name zelenka because of its color, [zelenka is derived from the Russian word for "green"]. It turned out to have another magic property: a rapid drying effect on ulcers. But in Germany and other European countries zelenka fell into oblivion. "We once went to the doctor with our child," recounted Olga, who moved to Sweden a few years ago from Latvia, formerly a part of the USSR. "And the doctor cautiously inquired what religion we were. It turned out she thought that the zelenka we had used to treat our child’s spots were religious markings of some kind." This universal cold remedy relieves pain, thins the blood, lowers temperature and combats inflammation. The modern Russian namesake of this well-known Soviet brand has nothing to do with citrus fruit. Citric acid, which once comprised part of the formula, is no longer added. Modern Russian citramon includes paracetamol, aspirin and caffeine, and costs the equivalent of $0.97 for one packet. Another multipurpose medicine, it’s used for attacks of "nerves," "heart" trouble, tremors, insomnia and even intestinal cramps. Corvalol contains phenobarbital, which is classified as a barbiturate and is prohibited or severely restricted in many countries. In Russia it can still be purchased even without a prescription; the drops cost $0.53, and tablets $2.60. According to many in Russia, this is the companion cure of corvalol, which is mistaken. In 2007, validol should have been dropped from the system of subsidized medicine on the grounds that it was outdated and ineffective. Such was the decision of the Russian Academy of Medical Sciences, but in the end this mild sedative was not banished, for no other reason than to soothe Russian grannies. Every granny knows that if she has an attack of nerves or feels a heart pang, all she needs to do is dissolve a validol tablet under her tongue and it all goes away. In the 20th century it was believed that many cold-related illnesses could be treated by applying heat to the back. There were two painful methods for achieving this: sticking mustard plasters on the back, or applying a number of cupping glasses. Most countries have done away with such ineffective acts of self-harm, but these methods are still used in the former Soviet Union. The anti-virus drug, arbidol, was developed in the USSR in 1974, and its effectiveness was proved by the ARBITR study. But no new trials have been done according to modern standards, which is why the American Food and Drug Administration (FDA) refused to register it as a medicine, and classified it only as a dietary supplement. In 2006, as part of efforts to combat bird flu, the American company Good Earth Medicine sought FDA permission for the sale of the inexpensive arbidol ($3) on U.S. territory, but it was denied on the grounds of unproven efficacy. In 2010, Vladimir Petrov, the Russian Health Ministry’s chief pharmacologist, pledged to prove arbidol’s effectiveness. "Many Russian colleagues have an a priori view that anything produced in Russia is bad," Petrov said. "Every Russian-made pharmaceutical product has to prove itself using various methods." A new large-scale trial of the drug is scheduled to conclude in 2017. When the human body is exposed to viruses, cells begin to attack and produce special proteins that prevent the viruses from multiplying. These are called interferons. The body cannot always cope on its own, however, which is when it must be supplied with an additional "helping" of interferons. In the West interferons are administered intravenously and at high cost, but in Russia small packs of viferon suppositories sell for 500 rubles ($8.7). This would all be brilliant if it weren’t for one big issue - interferon molecules are too large to pass through the walls of the intestinal canal and to enter the bloodstream without splintering into small pieces. "There is an absence of data on what happens in the body when the interferons are introduced non-parenterally (in other words, not by-passing the intestinal system - Ed. )," said Alexander Khadzhidis, chairman of the St. Petersburg Association of Clinical Pharmacologists. Russia generally has a problem with clinical studies, added Khadzhidis. "Many are conducted and they include large-scale international studies, but quality, sample size and design (i.e. overall plan, description) leave something to be desired. It requires enormous financial inputs, and not all companies are up to it." Russian law allows for the sale of medicines of dubious efficacy and safety, but on the other hand, "dubious" does not mean "100 percent ineffective." This leads to people frequently coming to Russia from neighboring countries to buy cheap over-the-counter medicines.